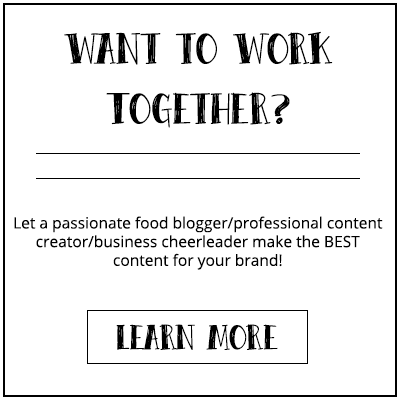 Are you looking for an addictive, out of this world delicious, Martha Stewart fancy appetizer? Then, pal, look no further. 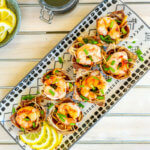 This shrimp wonton cups recipe is THE (yes, with caps lock) best appetizer in this whole planet and possibly the ones we didn’t discover yet as well. 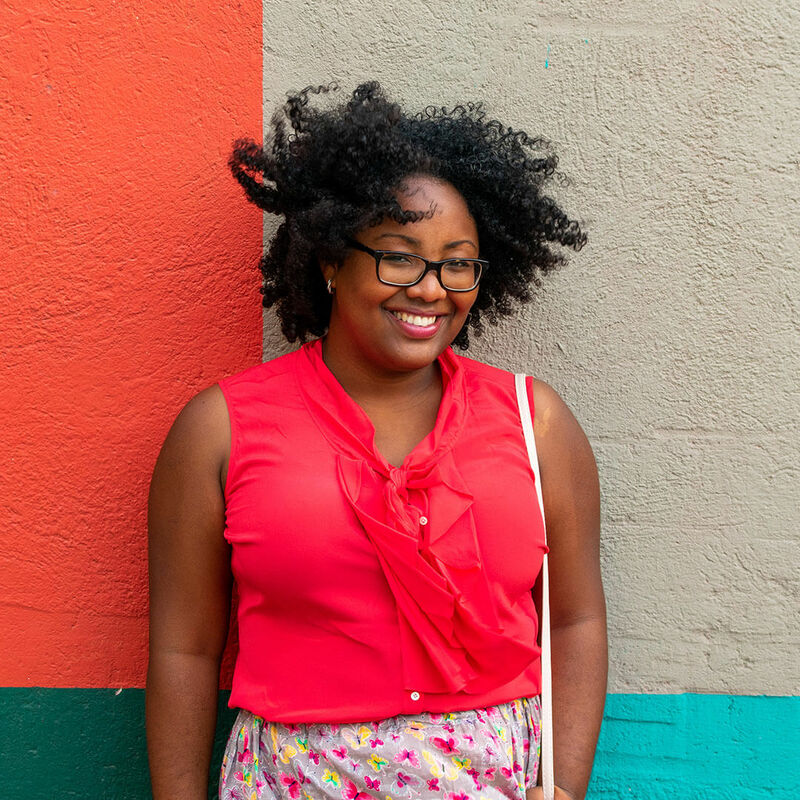 You are probably thinking: “This lady is absolutely bunker!” But, if you try this recipe you will see that I’m completely right. I think it’s the dressing that makes me so excited about this recipe. You see, the first time I had this specific Asian dressing was during a menu tasting at one of my favorite local restaurants. Then, the second time was at a semi-fancy restaurant with Fabian during Restaurant Week (a week when fancy restaurants have a decently priced menu for struggling Millenials like me). Then the third time was just a few weeks ago during, again, a fancy dinner at my favorite restaurant. We had Tuna Tartar that had this same Asian dressing and I was so in love with it. 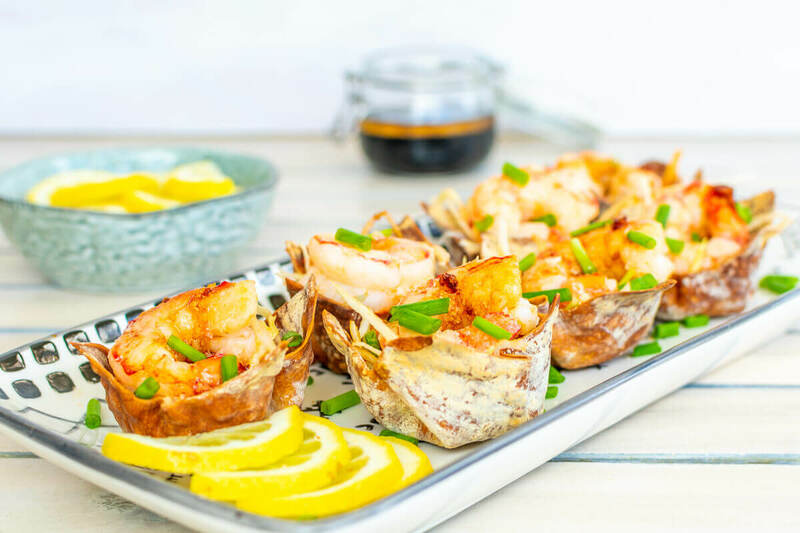 So, I had this shrimp wonton cups recipe sitting in my mind for a while now. I wasn’t sure what to pair it with. I first though a garlic mousse-type sauce, then a guacamole, but then somehow the idea to add shredded cabbage and carrots popped in. 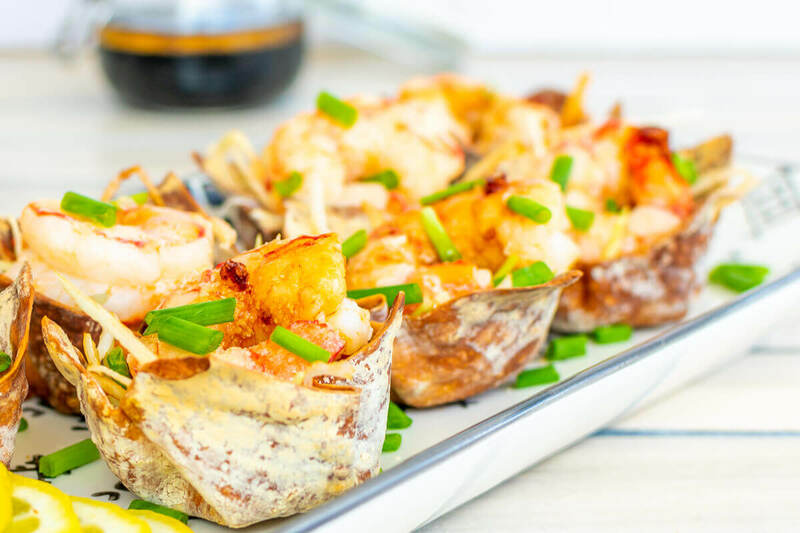 At my supermarket, they sell a ready-made shredded raw cabbage mix and carrots which makes this shrimp wonton cups recipe much easier to create. Then I searched Asian-style dressings and whipped something up. Then I tasted it . . . and oh my, I was so surprised by the result. My dressing had the same flavor as the dishes I tasted at the fancy restaurants. 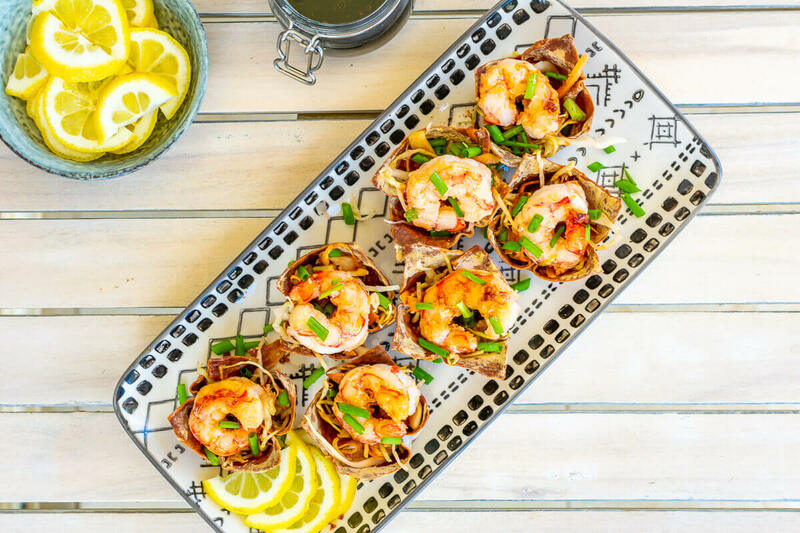 The juicy garlic jumbo shrimps, crunchy cabbage mix, and the ultra-amazing Asian dressing to top it off will make shrimp wonton cups recipe one of—if not the—best appetizer recipe. Serve this during your next happy hour or party and everyone will fall in love with you. So, add this recipe into your recipe box for next time your entertaining at home. 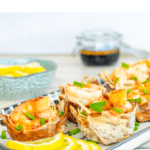 Shrimp wonton cups recipe with shredded raw cabbage mix, carrots, and a flavorful Asian dressing. Melt 20 gr of butter in a microwave. Brush the wonton wraps with the butter and the muffin tin as well. Place the wonton wrap on top of the muffin tin and press it down gently to create a cup. Repeat this for the remaining wraps and bake for around 5 minutes. In the meantime, take a bowl and add all the ingredients for the sauce, mix, and put aside. Heat 30 gr of unsalted butter in a skillet. Add the garlic using a garlic presser and add the lemon juice. Layer the shrimps in the pan and cook on each side for about 5 minutes. Afterward, place the shrimps on a plate covered with a paper towel. Take one wonton cup and add a little bit of cabbage-carrot mix. Drizzle a little bit of sauce, add a shrimp, and drizzle a bit more sauce on top. Garnish with spring onions.